Seattle Funding Group is an active private money real estate lender in the western U.S. They have been in business since 1988. Their rates range from 7.99% – 9.99%, and they can lend up to 85% LTV. They have an A+ BBB rating and generally positive reviews on Facebook and Yelp. 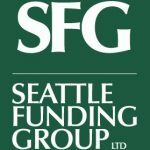 Work For Seattle Funding Group? Claim This Page.